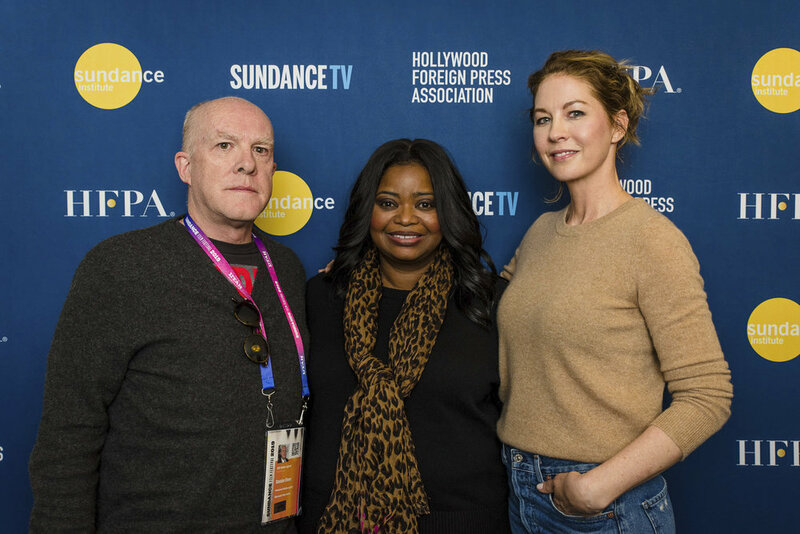 Celebs and media have flocked to Park City Utah for the Sundance Film Festival. The two week festival sheds light on major film projects as well as indie-films while giving every level of filmmaker a chance to showcase their brilliance. In addition to compelling films there are also various panels that are extremely empowering. In lieu of award season kicking off, Octavia Spencer, Kyra Sedgwick, Jenna Elfman, Keri Putnam (Executive Director, Sundance Institute), Silvia Bizio (HFPA member) and Cassian Elwes (Film Producer) sat down with Hollywood Foreign Press member Elisabeth Sereda to take a look back at 2018 and discuss the progress and new challenges that have arisen for women in the entertainment industry over the last year. In the past year individuals have been stepping up for equality in the work place. The conversation, thankfully, is still being discussed. The Hollywood Foreign Press Association presented the Women Breaking Barriers panel and lets just say, there is plenty to talk about! 2019 version of that same panel, she arrived with the kind of news she had hoped for just one year earlier: Men are getting in on the movement too. The tone of the room was in agreement that while we are making changes, the changes aren't happening fast enough. All parties need to realize the benefits of open communication as well as paying women the same pay as their male counterparts. Elfman later continued, "We are strong smart compassionate courageous and brave. We know how to make men better and that is a huge offering we have! We have these superpowers as women!"